Movie Kuch Kuch Hota Hai released in 1998, which marked Karan Johar’s debut as a director in 1998 and famously co-starred Shah Rukh Khan, Kajol and Rani Mukherji in one of Bollywood’s most iconic love triangle romances. In @StarPlus show #TEDTalksIndiaNayiSoch, Kuch Kuch Hota Hai with the Power of Words,Shah Rukh revealed how the lyrics of the film’s title song actually originated. 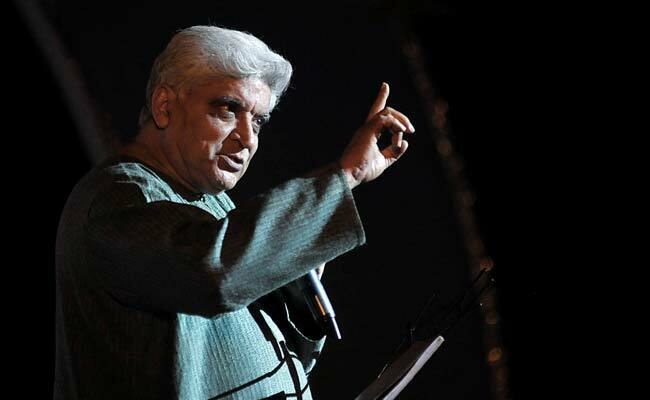 It was all thanks to lyricist Javed Akhtar , who was on the Sunday episode of Shah Rukh’s Ted Talks India. Shah Rukh Khan welcomed the veteran lyricist on his show with a wonderful introduction, saying he’s known Javed Akhtar since the time he landed in Mumbai to follow his dreams – it’s been 25 years. He also did a little time travel – all the way back to when Kuch Kuch Hota Haiwas being filmed, and revealed how the song actually came into place. After Javed Akhtar decided to quit the project, it was Sameer who composed the lyrics of the song. “He was upset with us because he did not like the title of the movie. An angry Javed Akhtar said: ‘You guys just take this.. ‘Ab toh mera dil.. Jaage na sota hai… Kya karu hai, kuch kuch hota hai…‘ Is this what you want? Go, take it!’ And that’s how Javed saab had thrown the words of the song at us… in anger. And that song became so popular! So even when he puts word together in anger, they are turned into golden words. That’s his gift,” Shah Rukh Khan told this to a house full of cheering audience on #TedTalksOfIndia. Kuch Kuch Hota Hai turned out to be one of the biggest blockbusters of 1998, something which got the director thinking after 18 long years. Last year in an interview with PTI, Karan Johar wondered out loud: “I was 24 when I penned that film. But I can’t write the same film now. When I see Kuch Kuch Hota Hai today or Kabhi Khushi Kabhie Gham I myself wonder, ‘Why did I write this, how did I write this, from where these thoughts came to my mind?’”The Kuch Kuch Hota Hai soundtrack was composed by Jatin-Lalit and Alka Yagnik won the National Award for Best Female Playback Singer for the title song. Amarjeet Kumar from Bihar and studying B.A. Thanks 4 posting my blog on srkuniverse blog.